I hope you’re doing well? Summer is here! Well sort of, it rained last week but that’s okay I live in England what else is new. I’m fully embracing the sunshine and warmer weather and what better way is there then to buy new makeup products? As the season has changed so has my daily makeup look and that means I’ve been using some new products on my face. I thought I’d share three products with you, tell you a little about them, why I like them for summer and I little mini review of each one. I’m still loving the liquid lipstick style products for my lips but I have added a new bright colour to my collection. 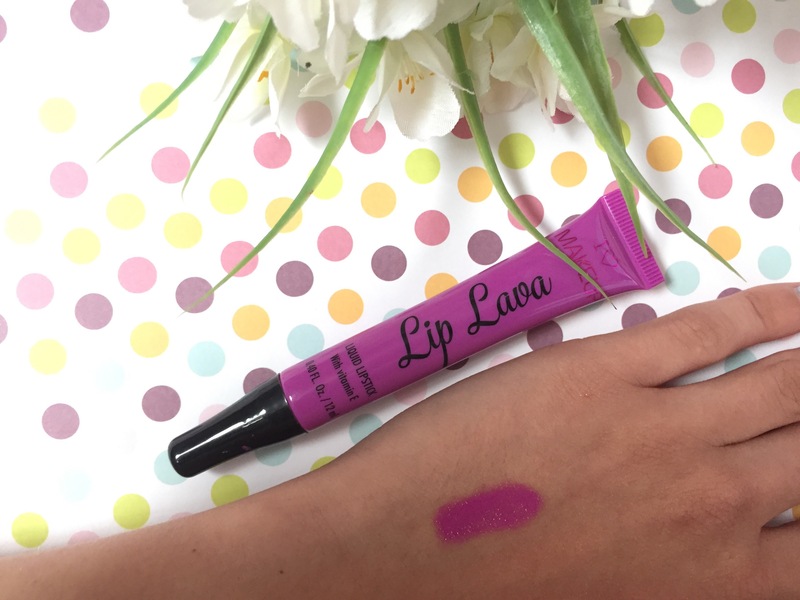 I Heart Makeup have a line of Lip Lava’s and I picked up the shade ‘Shockwave’, this is such an amazing bright purple/pink colour. I’m obsessed. I think the Kylie cosmetics ‘June Bug’ shade has inspired me, but this drugstore products was only £2.99 so I’ve definitely saved some money there. I’ve only tried this product out a couple of times as I haven’t had it that long, but I thought I’d give you a little review on it anyway. This is the first time I’ve really seen myself with a bold lip colour and I love it! I really didn’t think I would but what can I say I’m feeling the summer vibes when I wear this. The formula actually a pretty good one, the colour goes on well and dries (although a little tacky) down too, the colour stays bold for ages but it goes from purple to more of an almost hot pink shade. A little complaint I have is that the tube packaging is a tad annoying to use. When you push the product out of the tube it feels like loads of air gets trapped in it and it doesn’t go back into it’s usual shape. This little issue isn’t going to stop me from using this whenever I can over the summer months. 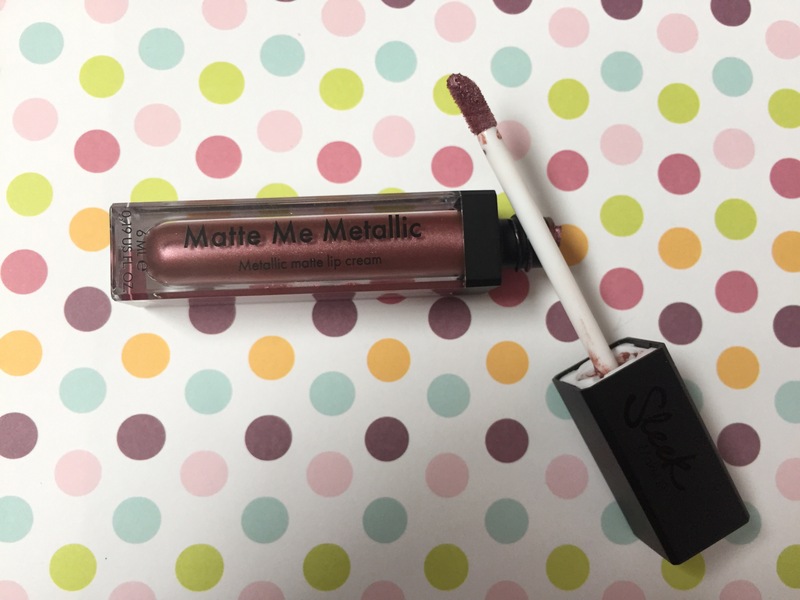 I’ve also picked up one of the new Sleek Matte Me Metallic lip creams in the shade ‘Rusted Rose’. I’ve seen a lot of Instagram MUA’s rocking metallic lips and I wanted to be apart of it. 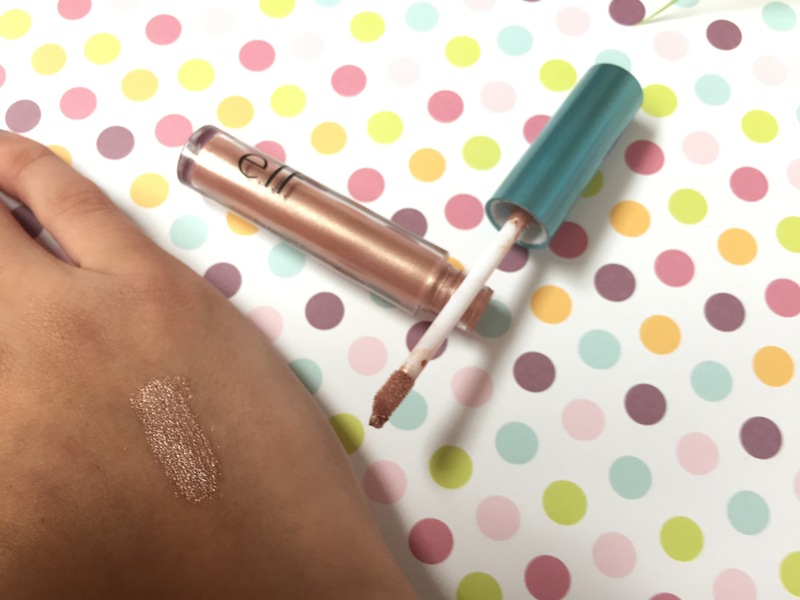 This is quite a new product from Sleek (I think) so I was pretty excited to put it to the test. It only cost me £4.99 so I think it’s a pretty good price as I’ve heard good things about the Sleek liquid lipstick formulas. I’ve played around with this a few times and I do like but it’s just not what I had expected. Honestly, the shade looks great in swatches but on the lips its just not opaque enough to give that real metallic finish. Using this on its own gives a pretty effect but I wouldn’t go as far as calling it metallic it’s just glittery. The problem is that you can’t use a base colour without it feeling really thick and heavy on the lips. I do think it looks pretty, I just think the name is a bit misleading. 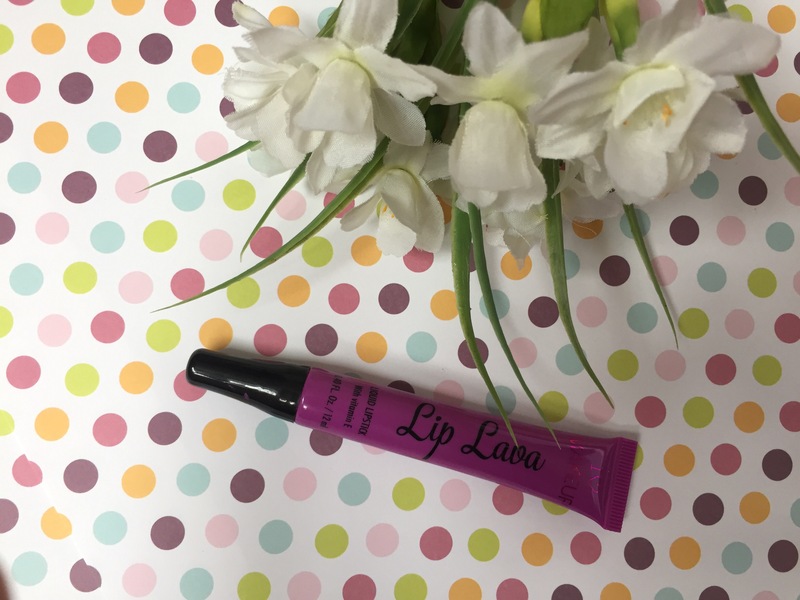 But for £4.99 it’s worth it to add a little bit of fun to my lips for the summer. 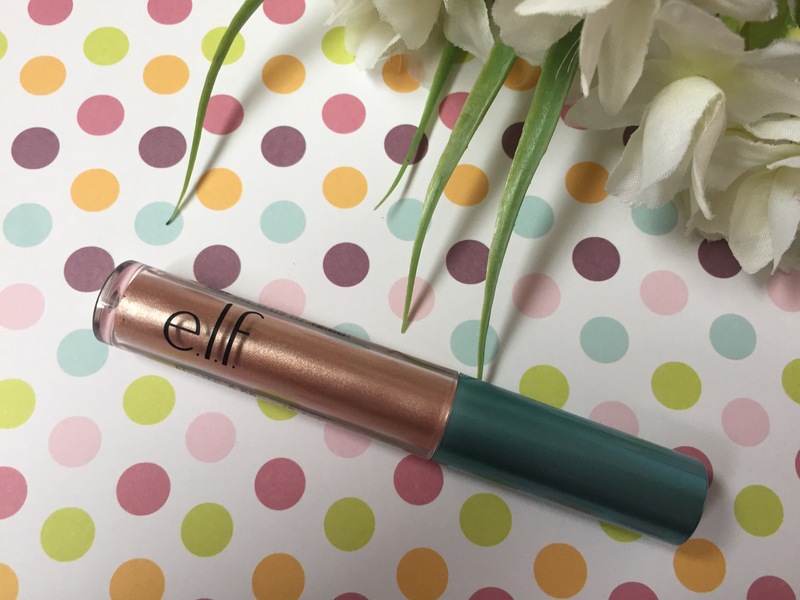 Since ELF makeup has launched in the UK I can’t help but find myself looking at it every time I go in Superdrug, seeing as I’m so drawn to it I can’t say it’s much of a surprise that I brought more. 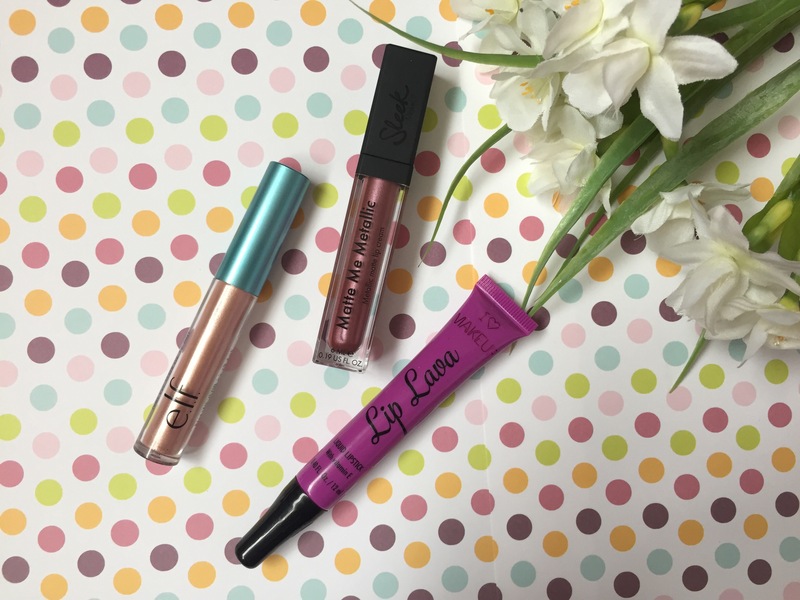 On my latest shopping trip I picked up a molten liquid eyeshadow from the Aqua beauty line. I chose the colour Rose Gold because not only did it look really pretty and would be unique in my makeup collection I’d also heard pretty go things about it online aswell. The product looks like a liquid lipstick but it is for the eyes. For me this is a really unique product as I don’t own any other makeup products like it, but I love it! Since I’ve got it I’ve used it so much! I don’t always want a heavy eye look especially in summer when its hot and sweaty so this is the perfect way to add a little bit of something without it being too much. I’ve been applying it straight to my eyelids using the applicator and then just wiping away any that isn’t right with my finger. It lasts really well and although it’s not an intricate makeup look it is still very pretty. The simplicity of it is what I like as you don’t have to spend ages building up an eye look that is going to feel heavy on the skin. So yeah, that’s what I’ll be wearing on my face this summer. Are there any snazzy products you guys are especially excited to use over summer? Let me know below! Hey Beautiful love the blog post ….well written and informative thank you for sharing . I wish sleek was available in South Africa. 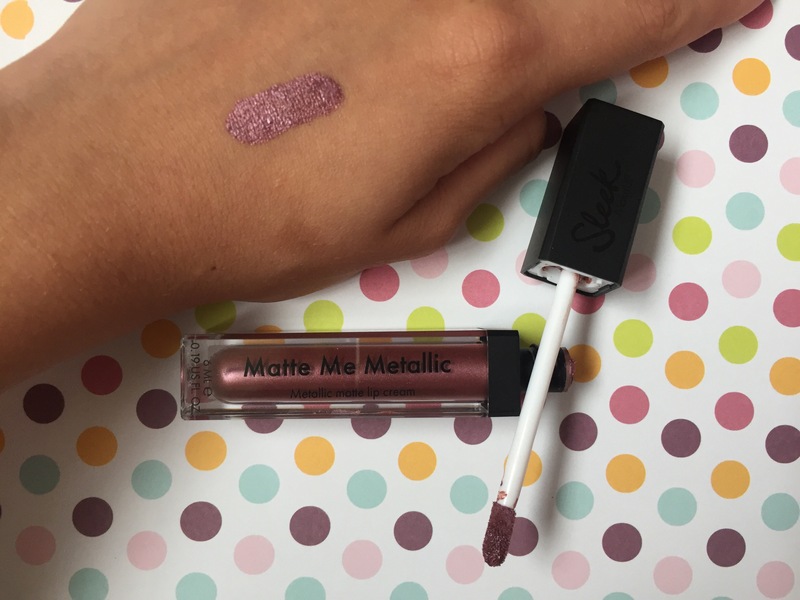 The metallic lippy looks fab! Sleek Makeup! That’s da bomb, babe!